It's that (rather depressing) time of year when it becomes difficult to take evening food photos. I have been making dinner a little later than usual and it's near dark by the time dinner is on the table. I have actually gone out on the deck a couple of times to get a bit of the last remaining light into my shots. Anyway...Happy Wednesday! 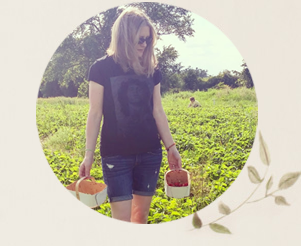 Here's a (partial) look at what I've been eating this week. 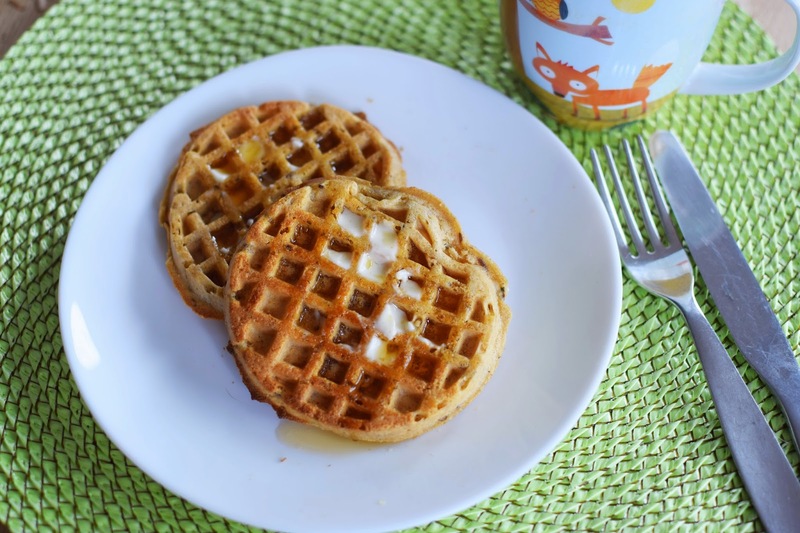 I had Nature's Path hemp waffles for breakfast one day, with vegan margarine and maple syrup. 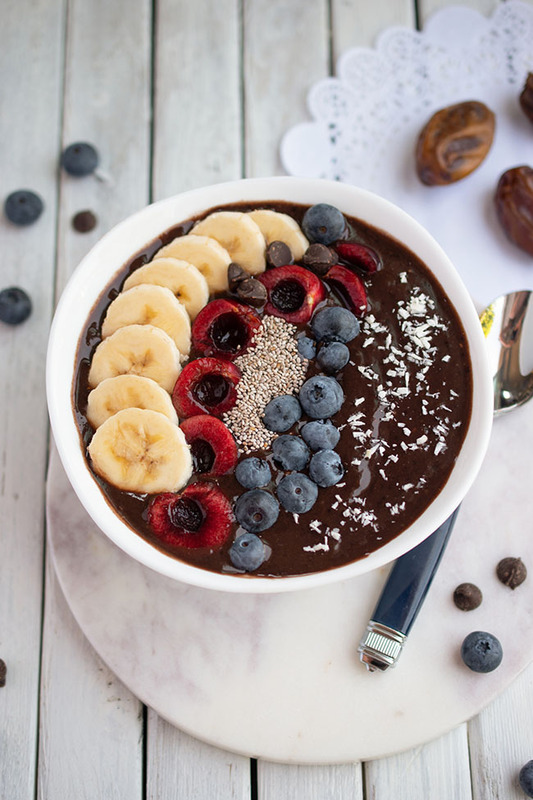 Simple and yummy. 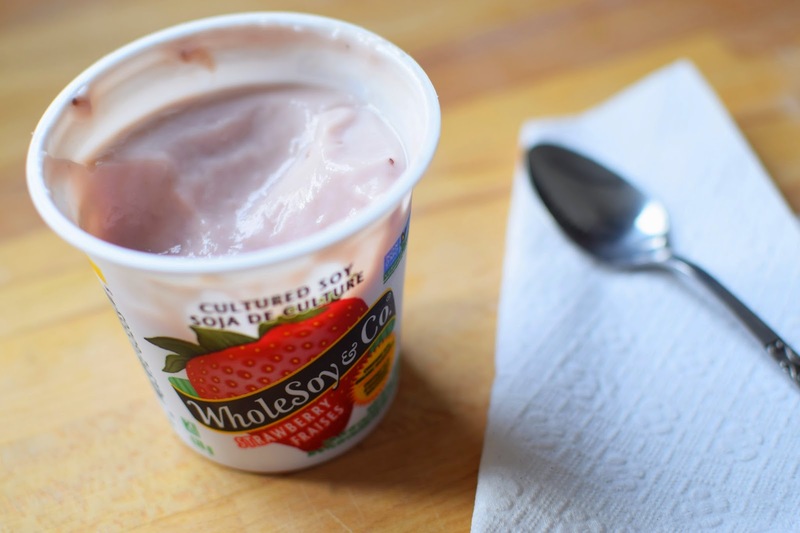 I don't eat soy yogurt often, because a lot of them just taste bad. But WholeSoy & Co's cultured soy is tasty. It was on sale at the health food store this week, so I bought the strawberry flavour for a quick post-shopping snack. 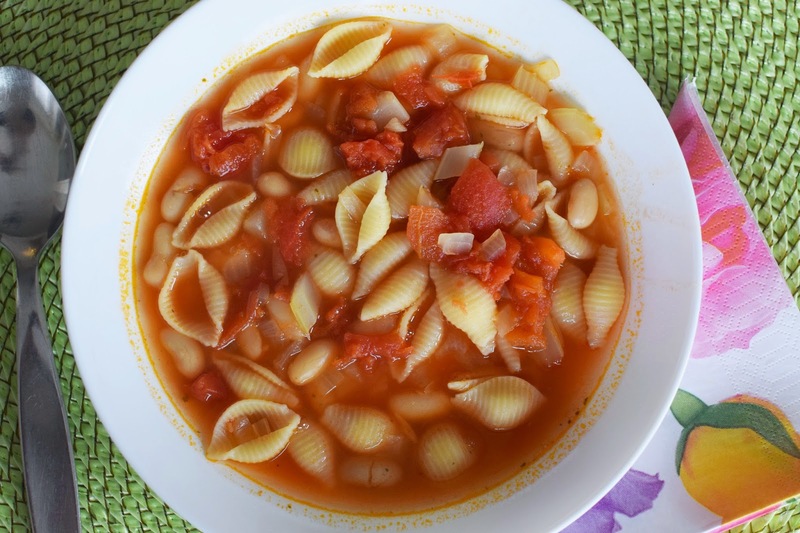 I made a pasta shells and white bean tomato-based soup for dinner one night. I'm still not sold on having chunks of tomato in the soup. Like my kids, I prefer a smooth tomato base. I had my fave Coconut French Toast from Isa Does It on the weekend. This time I shared it with the boys (the girl being at a friend's house) and they loved it too. Here is one of the casualties of my food photo woes. 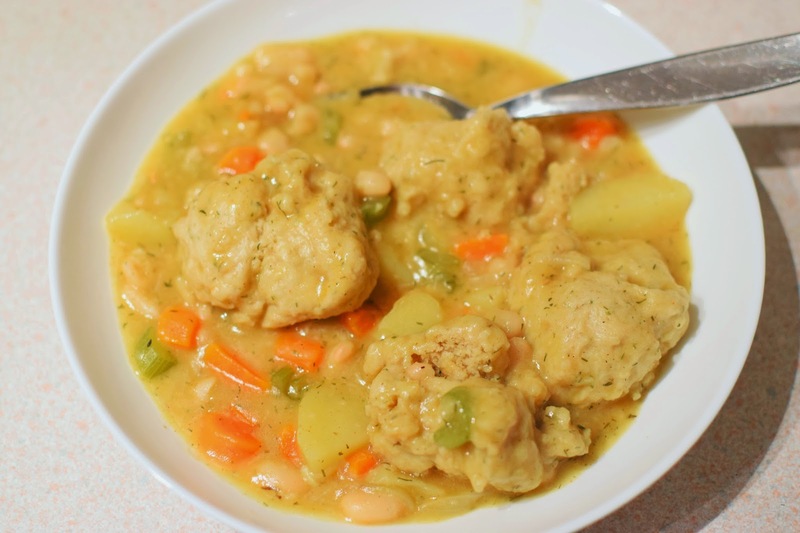 This Dilly Stew With Rosemary Dumplings from Isa Does It is absolutely delicious, but you would never know it from my photo. My usual strategy is to shoot leftovers the next day, but this recipe doesn't make a large amount and there wasn't much left over. I do have a photo box, but I don't really like it. It's too small. Plus, I broke one of the bulbs a loooong time ago and haven't bothered to replace it. 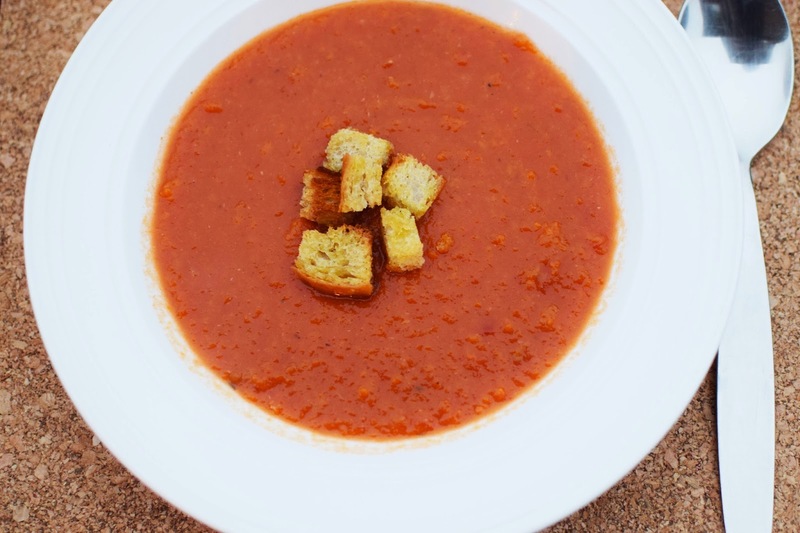 I caught the last bit of light outside on Monday night to take a picture of the tomato soup and croutons that my daughter made from a recipe in one of her DK children's cookbooks. The soup was very tasty, but it made a tiny amount. We are making a note to double it next time. It was so easy to make our own croutons that I can't believe we haven't done it before! 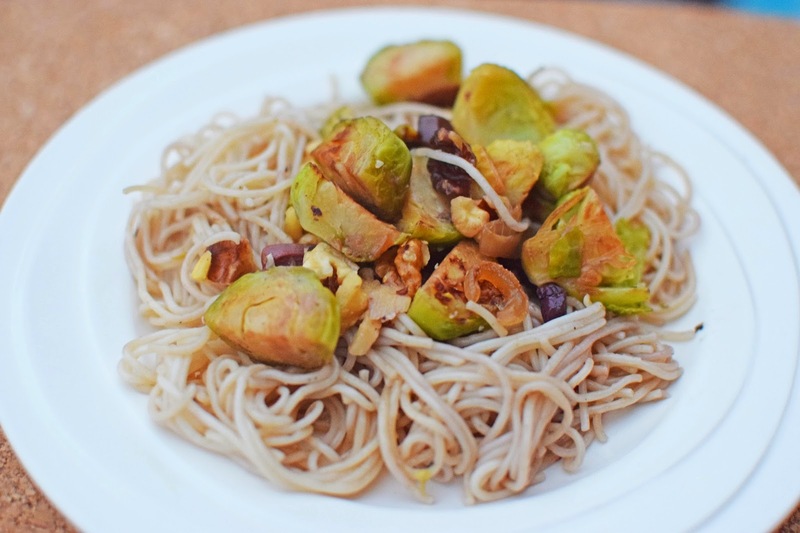 Along with the soup, we made another recipe from Isa Does It - Olive Angel Hair With Seared Brussels Sprouts. It wasn't my absolute favourite Isa recipe, but the kitchen got pretty hectic there for a bit, so I'm not 100 per cent sure I made it right. It was pretty good though. 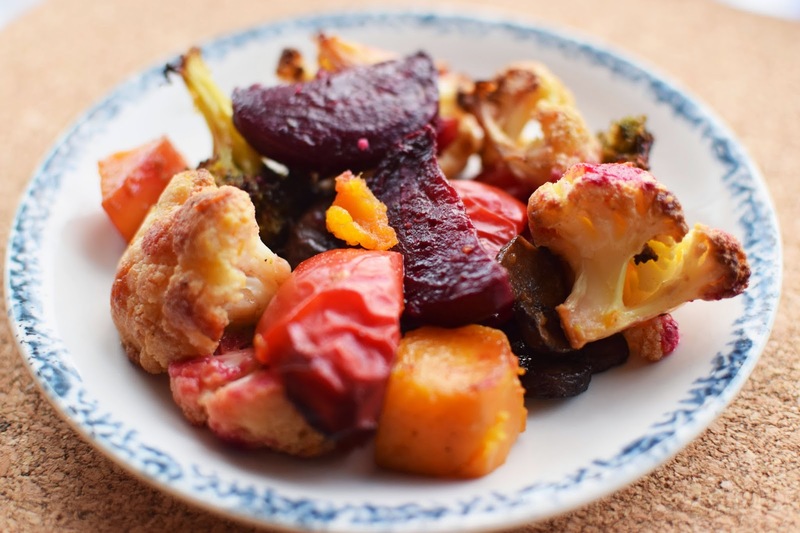 My husband also roasted some veggies and beets to go along with the dinner. It was a true family effort (except the boy, who didn't contribute, unless you count kicking a soccer ball into my feet while I cook). Do you have any food photography lighting tips to share? That dilly stew is great, I'm making it this week (hopefully)! I don't have any natural light in my kitchen areas at home , hopefully when (if) we get our renovation done the huge windows will make a difference, though it's on the worst side of the house. Those waffles look great, my downfall with waffles is that I just keep eating them. Even if i make a batch for the freezer to make an easy breakfast, I keep sneaking one as a snack, then another, then I don't have enough for an actual breakfast. I adore those waffles!! I feel you on the food photos-- which is why I rarely take them. With football practice and other school activities, the kids aren't even home until 6. Sigh. And now I'm craving waffles drowning in butter and syrup! And coconut french toast?! Where have you been all my life!! 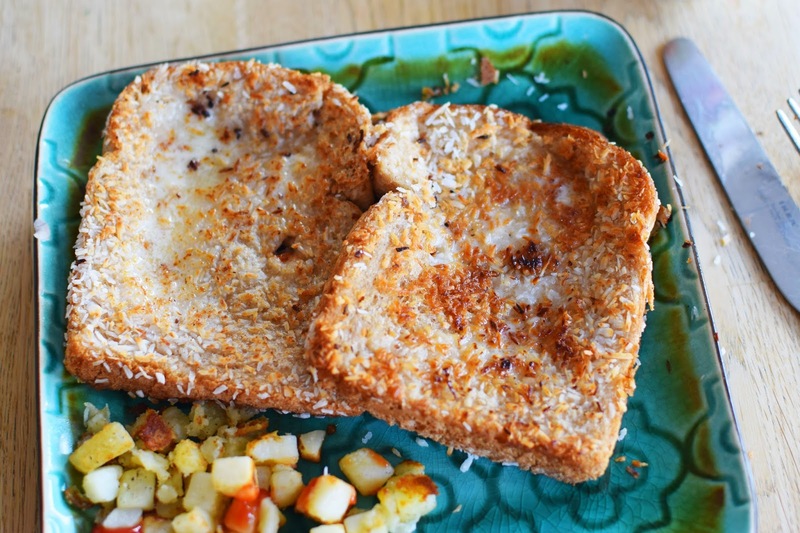 coconut french toast sounds amazing! Im a lover of all things coconut! gotta try that!